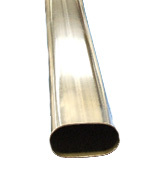 • Extruded Seamless Tubes from pierced solid billet are extruded using a circular die and piercing mandrel. These can be used for applications involving high pressures and loads, or where tube is subjected to forming, bending or expansion. • Drawn Seamless Tubes are produced from Extruded Seamless Tubes which are drawn using dies and plugs to achieve the required shape for applications requiring high strength, close tolerances and improved bore surface finish. There are no seams or joints in this product. • Round, Square, Rectangular, Triangular, Hexagonal, Oval, and other special profiles. • Asceros Intl can supply a wide range of machined components and fully turned parts from Carbon, Alloy Steel, Aluminium, Non Ferrous Metals, Castings + Plastics. • Parts can be supplied unfinished, semi-finished or fully finished to include heat treatment and plating for provision of integrated manufacturing solutions. • Our experience and knowledge enables us to produce and supply machined parts specific to the customers drawings, in conjunction to offering globally competitive prices using the latest CNC technologies and equipment.